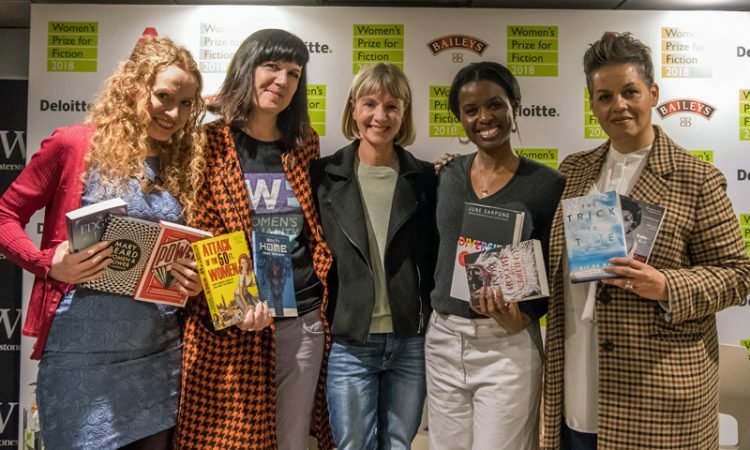 Left to right: Kate Williams, Catherine Mayer, Kate Mosse, June Sarpong, Kit de Waal. (Photo courtesy of Baileys Book Bar). The Baileys Women’s Prize for Fiction (previously the ‘Orange Prize’) was born in a London flat in 1992. Writers, critics, journalists, publishers, booksellers and readers of all stripes had gathered, pissed off that the 1991 Booker Prize shortlist had included no women. Perhaps they just hadn’t written anything decent that year? Former winners include Zadie Smith, Ali Smith and Eimear McBride. This year the winner will receive £30,000. Not nothing, is it? It was a good bash: people who liked books, talked books and then started a quiet revolution – or, as the host and powerhouse Kate Mosse said, ‘How to do revolution, when you’re really, really tired…’ Mosse, an author herself and co-founder of the award, explained that the Baileys Women’s Prize for Fiction denied the ‘woman card.’ Women who appeared on the list could not be regarded as ‘token’ here. The night’s panel comprised of Catherine Mayer, author and co-founder of the Women’s Equality Party, author Kit de Waal, writer and campaigner June Sarpong, and author and Professor Kate Williams. Conversation sprawled: from revolutionary texts – each panellist presenting two books that explored female struggle – to small, quiet, but revolutionary acts of the daily grind, women were far from the dominating subject. 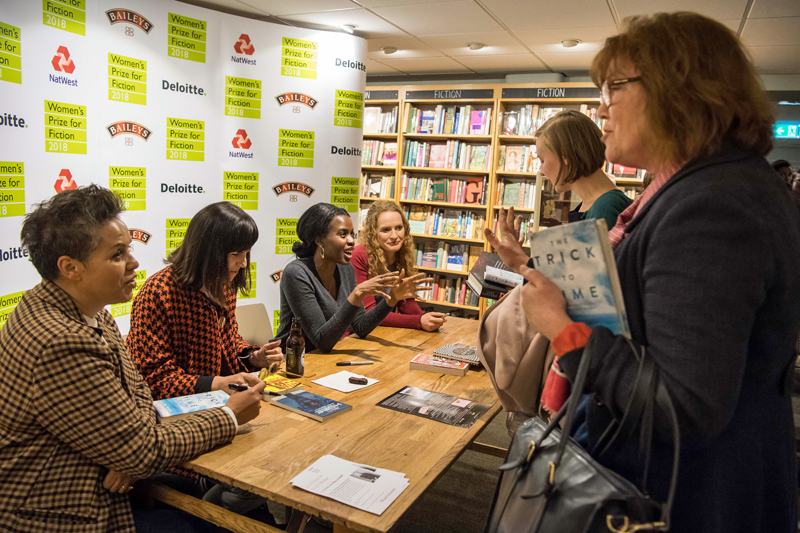 Left to right Kit de Waal, Catherine Mayer, June Sarpong, Kate Williams (Courtesy of Baileys Book Bar). Longlisted this year for The Trick to Time, De Waal spoke magnificently on class and race. She expressed her frustrations regarding the publishing industry’s attitude towards working class authors, novels and readers. The state of inequality in the UK is worse today than when she began campaigning in the 90’s. It was agreed by all that the fight for equality they’d once assumed to be linear, reaching toward an endpoint, was actually just continual. They say, Never judge a book by its cover. Honestly, sometimes you can, but I learnt not to judge panellists by their bios. Some of the most radical statements and perceptive observations came from Kate Williams, introduced as ‘Royal Correspondent and Historical Novelist’. Williams threw light onto the relentless silencing of women, like Ovid’s Philomena – ‘Women are still having their tongues cut’. Mosse, another period novelist, likened historical fiction to a conduit for ‘setting the record straight.’ Women have always been here fighting. The entire bar agreed, the book we should all pick up was de Waal’s recommendation, Kathleen Collins’s Whatever Happened to Interracial Love? A collection of short stories written through the 1960s and 70s it illuminates the complexities of interracial relationships and was repeatedly rejected during Collins’s lifetime. 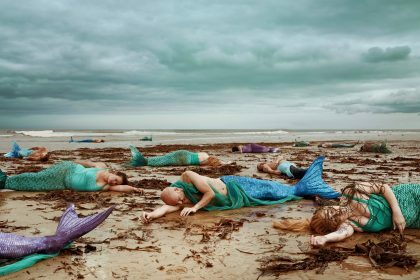 Granta finally published the collection in 2016. Much was thrown around about ‘diversity’, ‘intersectionality’ [the ways in which oppressive institutions (e.g. racism, sexism, homophobia, etc.) are interconnected and cannot be examined separately – Ed.] and most interestingly, the assumptions by publishing houses regarding ‘who’ their reader is. Although these strands seem to be reflected in submissions for the prize, perhaps a similar consideration should be applied to the judging panel? As fond as I am of Katy Brand and Imogen Stubbs in particular, I was looking at a judging panel of five highly educated, mostly white women of a similar age bracket. Perhaps a radical thing would have been to choose someone who wasn’t an industry insider, but just likes to, you know, read. It was a generous bar, eight quid a ticket and apparently no ‘one drink’ rule for the large cocktails which were nursed in the hands of a refreshingly mixed bag of women, all ages, shapes and faces. There was not one bloke in the crowd, though I don’t think they were actually barred. The host, as generous and excitable as he was, introduced the five women as ‘glamorous.’ On a night under the banner of ‘Women, Power and Revolution’, do women still have to be applauded for scrubbing up well? You can Watch ‘Women, Power and Revolution‘ here. The lunchtime readings, in the basement of Waterstones, Gower Street, cost £7 and last around an hour. They are a much smaller affairs than the evening events, just a bunch of us gathered around actors Torri Allen Martin and James Rastall as they offer casual, but brilliantly delivered readings from the shortlisted books while more Baileys is served. I’m familiar with two of the longlisted novels which dropped on the journey to the shortlist, Nicola Barker’s H(a)ppy, which won last year’s Goldsmiths Prize, and Kit de Waal’s The Trick to Time. Compared with the shortlisted books read to me – as brief as these were, I could have exchanged three of them for Barker’s or de Waal’s. I am thrilled Jessie Greengrass‘s Sight made the shortlist though. This was the most poetic and beautifully constructed of the pile. The author explores pregnancy, the death of a mother and medical advances, but it is the words rather the subject that drew me to the book: Greengrass puts the right word in the right place. I was also incredibly moved by Meena Kandasamy‘s, When I Hit You: Or, A Portrait of the Writer as a Young Wife, which managed sensitively and with great skill in the short excerpt we heard to lay out the horrors of domestic abuse. 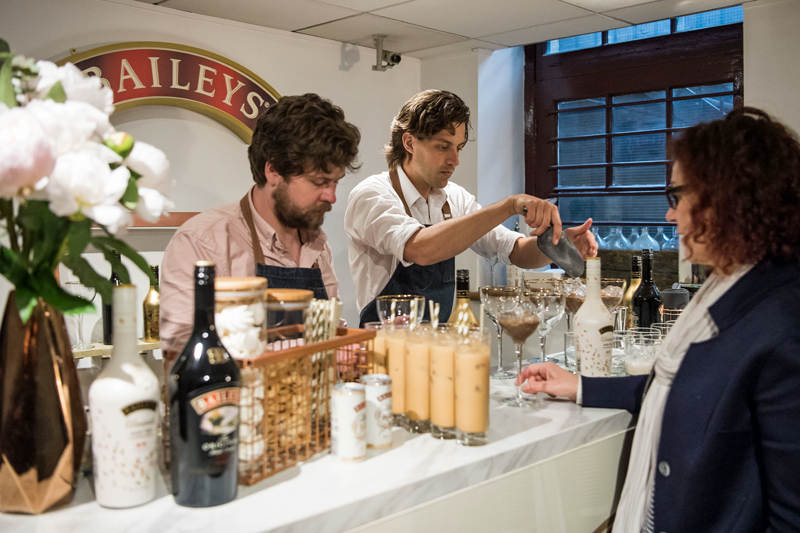 Baileys Book Bar at Waterstones Gower Street, London continues until Friday Information about the final evening’s ‘Queens of Comedy’ event here. The winner of the Women’s Prize for Fiction 2018 will be announced on 6th June. More information here.